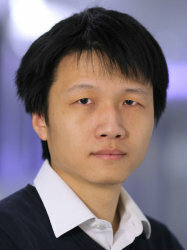 Dr Yan Liu is a research fellow in Centre of Bio-inspired Technology, EEE department. He is currently working at development low power low noise circuits for neural recording and signal processing, and mainly involves in CANDO project. Dr Yan Liu received the B.Eng degree in 2006 from Zhejiang University, China, the M.Sc degree in 2007 and Ph,D in 2012 from Electrical and Electronic Engineering at Imperial College London, UK.